Since the Conference ended both Tom and I have had little time to rest, visiting almost all areas of this wonderful country and meeting up with so many excellent Boarding Staff. Just four days from the last conference session we were off to Melbourne, firstly to visit both Melbourne Grammar School and Xavier College and then to run a very successful Duty of Care Beginners Workshop at Scotch College. Next stop was Canberra - where we ran both the Beginner and Advanced Workshops at Canberra Girls Grammar and had the chance to tour both Canberra Girls and Canberra Grammar Schools. I was privileged to be involved in helping to select a new Head of Boarding for Worawa Aboriginal College in Healsville, Victoria, and took part in their interviews. One of the special moments of this activity for me was watching the movie 'The Sapphires' on the plane while travelling to Melbourne, only to discover that this movie is based on the story of Auntie Lois Peeler, the Principal of Worawa!! The Queensland Division held their State Conference at St Margaret's Anglican Girls School in Brisbane and over 70 members had the chance to learn more about Adolescent Brain Development. The end of October saw us off to Sydney to run Beginner and Advanced Duty of Care workshops at Knox Grammar School, and to tour their new boarding facility. Upon return we headed for Adelaide where we visited Immanuel College, Westminster School, Scotch College and Loreto College over two days and attended their Heads of Boarding meeting, where Tom presented on our Social Media offerings and I talked about progress with the National Boarding Standards. Next day we were off to Mackay to Whitsunday Anglican School for an Advanced Duty of Care workshop and a tour of this fast-growing boarding school. Perth was our next stop, with a very full program. We started by attending the Term 4 Heads of Boarding meeting and both presenting, Tom again on Social Media and this time he included a discussion on how teenagers are actually using different parts of the Social Media offerings, and I again talked about the National Standards and taught those in attendance how to use our website effectively. We were privileged to tour Scotch College, PLC, St Mary's Anglican Girls School, Hale School, St Brigid's College and Mazenod College during our stay in the West. Two more trips have taken place during November - firstly to North Queensland to Visit St Patrick's College, The Cathedral School of St Anne and St James and Townsville Grammar School all in Townsville, Blackheath and Thornburgh College, Columba Catholic College and All Souls St Gabriel's School in Charters Towers, and then to spend Graduation Day at St Teresa's College, Abergowrie - a remarkable ceremony celebrating the work of this wonderful school just out of Ingham. 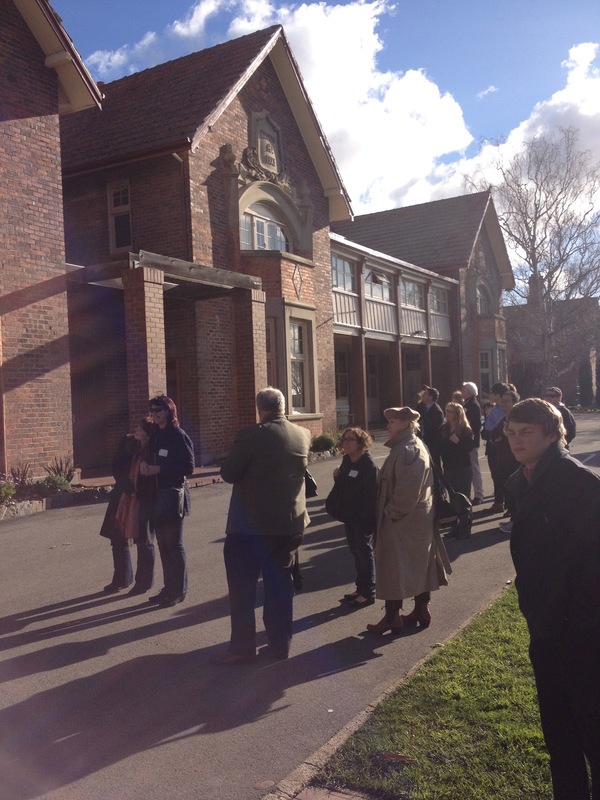 Our last trip was to Toowoomba, where we held a Bridging Course for those who had completed the old Duty of Care Course at Fairholme College, and also enjoyed a tour of Fairholme, and Toowoomba Grammar School, and next day travelled out to visit and tour The Scots PGC College in Warwick. As you can see we certainly haven't spent a great deal of time in the office, but it has been absolutely wonderful to meet with so many of our members, and to see the fantastic offerings they all have. Our aim of 20 school visits during term 4 is almost achieved, and we hope to report in the next Blog of a few extra schools in Brisbane who have hosted us. Look on our Flickr page for photos of every visit we have undertaken! Work on our Leaders in Residential Communities Symposium to be held in Perth on 18th and 19th August 2013 is well underway - keep these dates free for what promises to be an exciting new way of improving your knowledge and skills. Until next time - enjoy the last few days of the school term! Just a short post this week - time runs short when you are out of the office, even for a day. Congratulations to the Tasmanian Division of ABSA on their wonderful Conference day at Launceston Church Grammar School on Saturday. Terry Sheehan, Head of Boarding, arranged a first class program and we all enjoyed the chance to network during the day. It also gave Tom a chance to film some more staff talking about boarding - his efforts will appear on our YouTube Channel in the days to come. Conference registrations are coming in steadily, but this is a brief reminder that our early-bird closing date is 15 August - just 9 days away. If you want to save your school $100 you will need to get that application in as soon as you can. This weeks sees a range of appointments with Association Sponsors - some good support is coming our way, but we are always looking for more. If you know of a company which would benefit from partnering with us, please let me know.